Fotona’s Q-Switched lasers offer four wavelengths in one system – enabling treatments for virtually all commonly used pigment colors. Extremely short energy pulses cause tattoo pigments to break into smaller particles, which are then removed by the body’s own immune system. Most tattoo procedures take only a few minutes, but several treatments are typically needed to completely remove a tattoo. Three-week intervals between sessions are required to allow pigment residue to be cleared by the body. 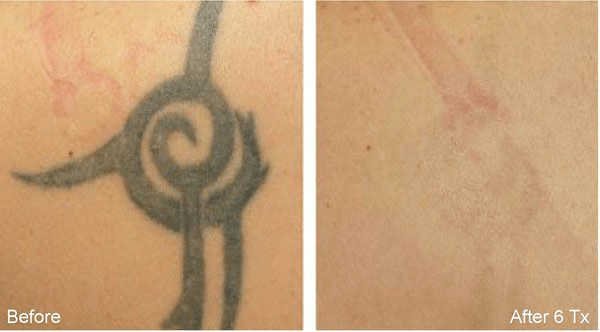 Laser tattoo removal has become the standard treatment for tattoo removal because it offers an effective, safe and fast solution for removing unwanted tattoos. With the right laser, all common tattoo colors can be removed; black and dark tones, blues and sky blues, reds and tans, and greens. tattoos are the easiest to remove whereas professional ones may require more treatment sessions. The tattoo will fade slowly between treatments as the body removes the remainders of the tattoo pigment. 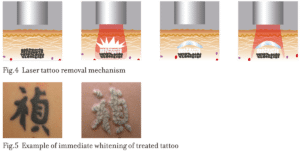 Fotona’s precisely controlled Nd:YAG laser 1064 nm wavelength is the ideal tool tattoos removal. The Nd:YAG is the optimal modality for conversion into 532 nm, 585 nm and 650 nm wavelengths, allowing effective removal of all types of multi-collored and complex tattoos. Also, because of its selective nature, the Nd:YAG is hardly absorbed in melanin. 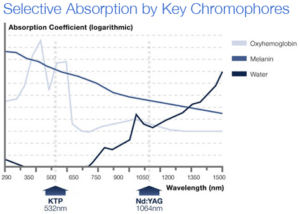 Therefore, this wavelength can be safely used on all skin types. 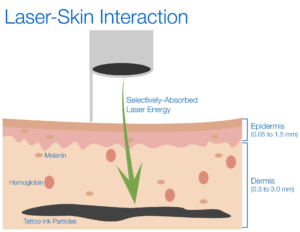 Why is the QX MAX perfect for Laser Tattoo Removal?